One of the most important fleet management skills to learn and develop is using analytical tools like GPS fleet monitoring. According to a survey, the vast majority of fleet managers have used or will use GPS fleet monitoring by 2018. Clearly, fleet managers who never used fleet software are falling behind of their peers. 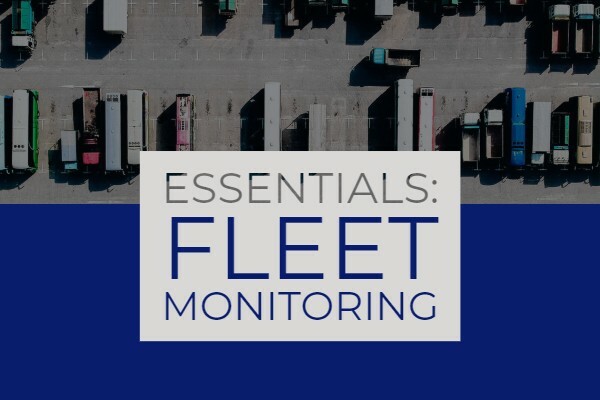 In our 2018 GPS Fleet Monitoring Guide, we want to teach fleet managers about important software concepts. What are some of the essential fleet monitoring concepts? Geotab, installed in over a million vehicles worldwide, considers the following concepts as essentials: Location Tracking, Rules, Fuel Reports, and Vehicle Maintenance Reminders. Location tracking remains the bread and butter of GPS fleet monitoring because that’s why most fleets start using vehicle monitoring. Geotab users can access location tracking commands by clicking the Map sidebar button. Three important Map functions include Live Map, Trip History, and Geofencing. 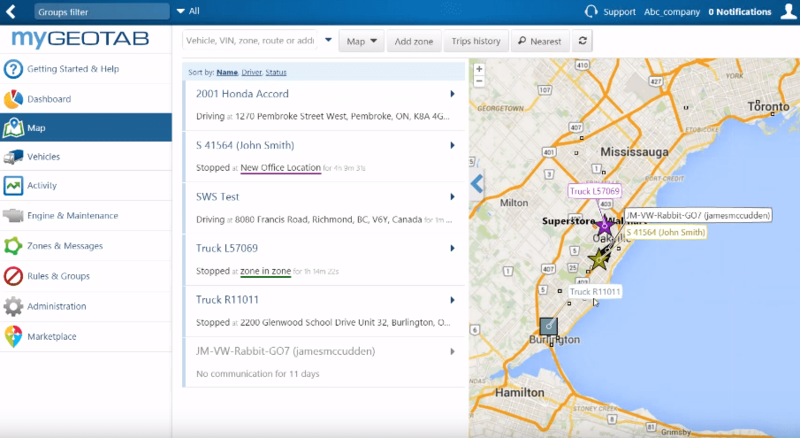 Firstly, fleet managers need to be familiar with Live Map. Every single fleet GPS solution will have a map portal. On Geotab’s portal, users can view a vehicle by hovering over their map and clicking vehicles. They can also search and select a vehicle from a list. Some useful applications of live maps include providing location updates, managing drivers, and dispatching the closest driver to a site. Secondly, fleet managers should learn how to use the Trip History report. Again, every GPS software should allow managers to view a vehicle’s location history. Geotab users can look at a vehicle’s trip history by selecting a vehicle or driver. Then, the program replays trips with “destinations”, or events when drivers stop for a specified amount of time. In effect, managers can review or download all trips in the prior year with Geotab. 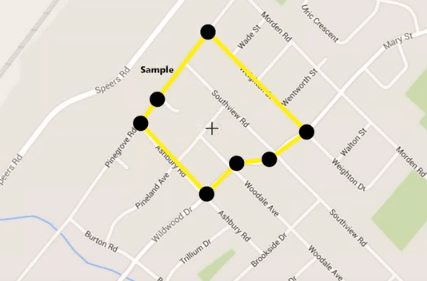 Finally, fleet managers need to know how to geofence. Geofences are custom map zones. Users can then set up rules and alerts with their created map zones. For example, consider the following applications. One company processed payroll by creating a geofence on a customer site and monitoring their employees’ hours. Another company set up a “Casino Rule” which alerted managers whenever their employees broke company rules by visiting casinos. Another important GPS fleet monitoring concept is Rules & Exceptions. Rules & Exceptions are powerful tools because managers can create and manage productivity or safety rules. Some important functions to learn include Creating Rules and Viewing Exceptions. Before managers can view reports, they have to create rules. Geotab uses a Rules portal, where managers can quickly change Rule Settings, apply Advanced Settings, or Set Notifications. For example, for custom Speeding rules, managers can manage event triggers by dragging a bar to indicate the speed over (or under) a speeding limit. Managers can also apply Advanced Settings such as changing the Speeding Duration before an event is triggered, or setting up text and email notifications. 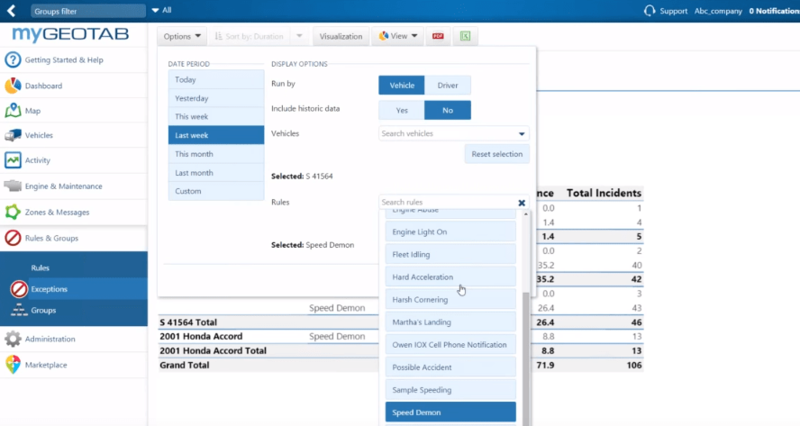 After creating rules, fleet managers need to learn how to use data. On Geotab, everything can be done through the Exceptions portal. Under Exceptions, managers can generate reports from time periods, vehicles, and rules. The next essential concept is Fuel Reports. Fleet managers are responsible for controlling operation cost. Successful managers use tools such as Fill Up Graphs and Idling Reports. Fill-up graphs are one of the most commonly used fuel management reports. It displays critical fuel data such as fuel purchases, fuel usage, fuel remaining, fuel mileage, and odometer readings. 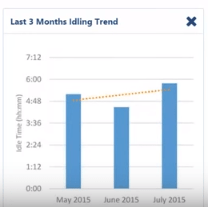 Idling reports also deserve their own category because monitoring idling reduces fuel expense. In fact, a majority of enterprise fleets have some sort of no-idling policy. Fleet managers can create an idling management report on Geotab by going under Exceptions and selecting Idling rules. Finally, maintenance reminders are also an essential fleet monitoring concept. One of the worst kept secrets for successful asset management is to always schedule regular maintenance. A smart strategy, then, is to use a tracking tool to monitor vehicle odometers or engine hours. 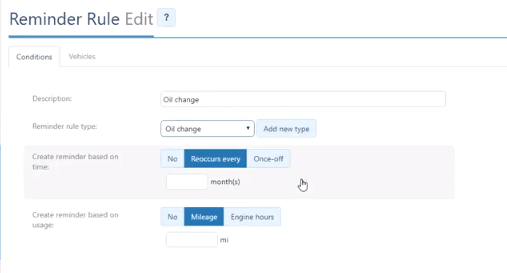 Fleet managers can go under the Engine & Maintenance sidebar and go into Reminders to create reminder rules such as oil changes based on measured odometers. Click here to schedule a one-to-one training session to get started on myGeotab.